This residency and exhibition explores the intersections between architecture, design, and sculpture. A folly is commonly defined as a fanciful architectural form whose purpose is non-ultilitarian, or so ornate and decorative as to have only minimal practical purpose. The folly is a perfect subject for architects to investigate materially, spatial interaction, and concepts about our built environment. 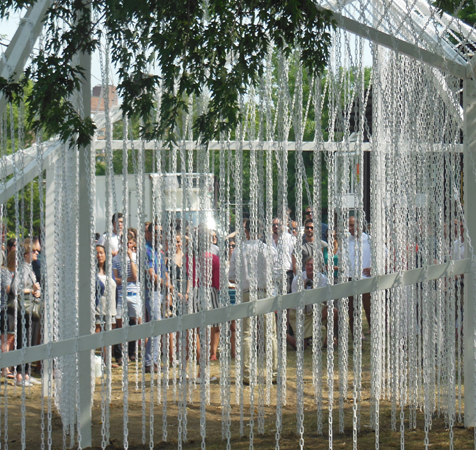 Curtain, a project conceived by architects Jerome Haferd and K Brandt Knapp, was selected as the winning proposal from a juried competition. 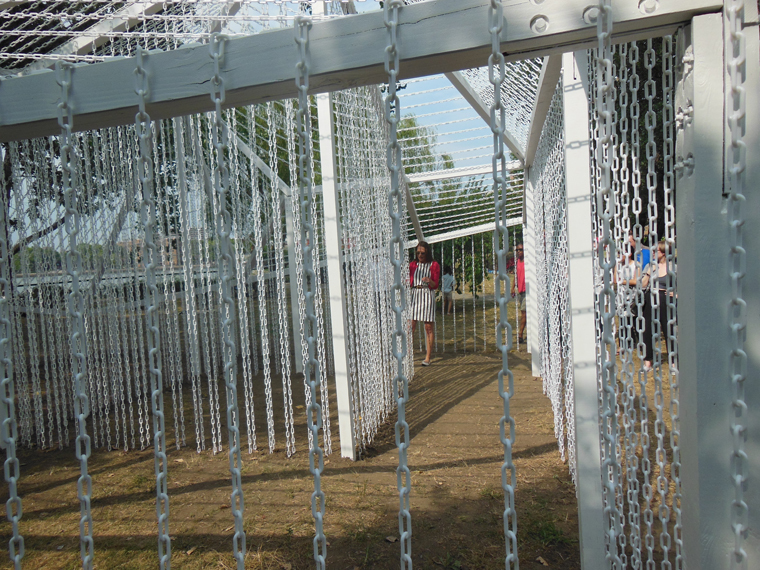 The project combines architectural structural framing with mutable plastic chain link partitions and enclosures. 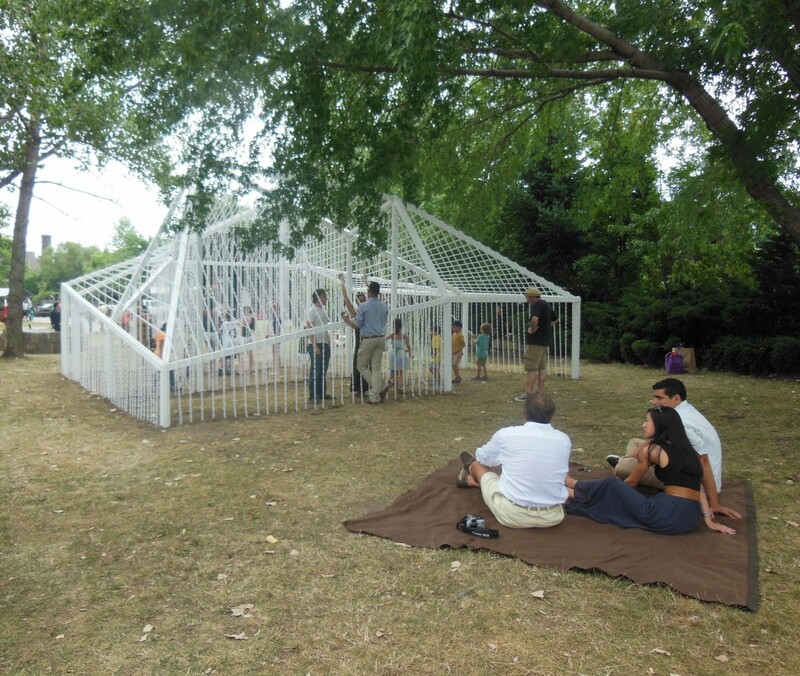 Folly is organized in collaboration with The Architectural League of New York. 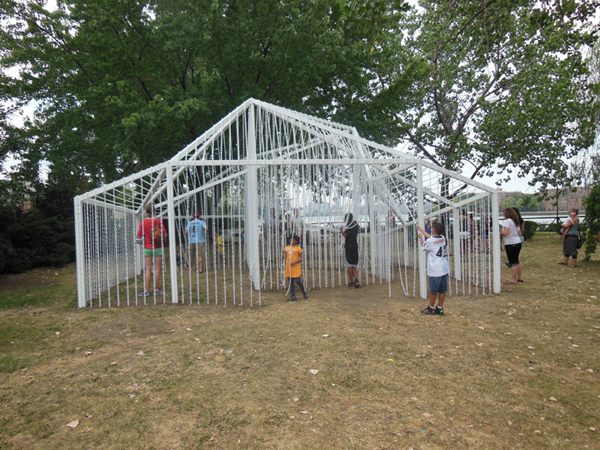 Haferd and Knapp were selected from 115 submissions by a jury that included: Alyson Baker, former Executive Director of Socrates Sculpture Park (2000-11) and current Executive Director of the Aldrich Contemporary Art Museum; Yolande Daniels, Studio SUMO; Richard Gluckman, Gluckman Mayner Architects; Christopher Leong, Leong Leong Architecture; and Leo Villareal, artist. Folly presents an ideal and timely partnership between Socrates and The Architectural League, as demonstrated by the increasing number of architects taking an interest in the exhibition opportunities available at Socrates. The Park’s waterfront site offers a rare and immediate connection to both the landscape and the public. “Over the past decade there has been a widespread interest among younger architects and designers in making- through experimentation with new fabrication technologies and materials and through the rediscovery of the pleasures of craft. 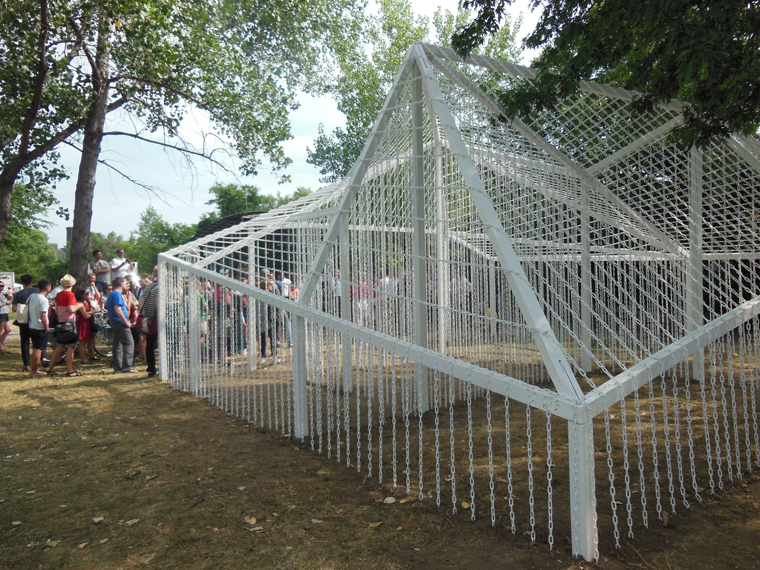 The design of temporary installations and pavilions has proved a fertile ground for these explorations. Folly is an exciting opportunity to situate this line of architectural invention within a specifically sculptural context through the League’s partnership with Socrates,” said Rosalie Genevro, Executive Director of the Architectural League. The program is being directed by Elissa Goldstone, Exhibition Program Manager, Socrates Sculpture Park; and Gregory Wessner, Special Projects Director, The Architectural League of New York. The Architectural League nurtures excellence in architecture, design, and urbanism. Through lectures, symposia, exhibitions, competitions, publications, and digital communications, the League creates a lively independent forum for artistic and intellectual work. We present the projects and ideas of the world’s most interesting and influential architects and designers to New York, national and international audiences; we identify and encourage talented young architects and designers; and we help shape the future by stimulating debate and provoking thinking about the critical design and building issues of our time. 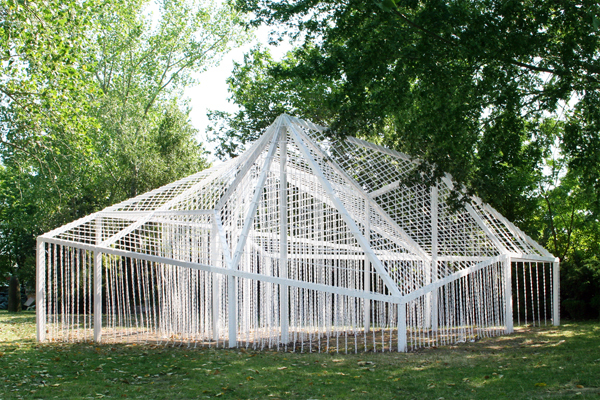 Folly, a partnership of Socrates Sculpture Park and The Architectural League of New York, is made possible through a generous grant from the Graham Foundation for the Advanced Studies in the Fine Arts. 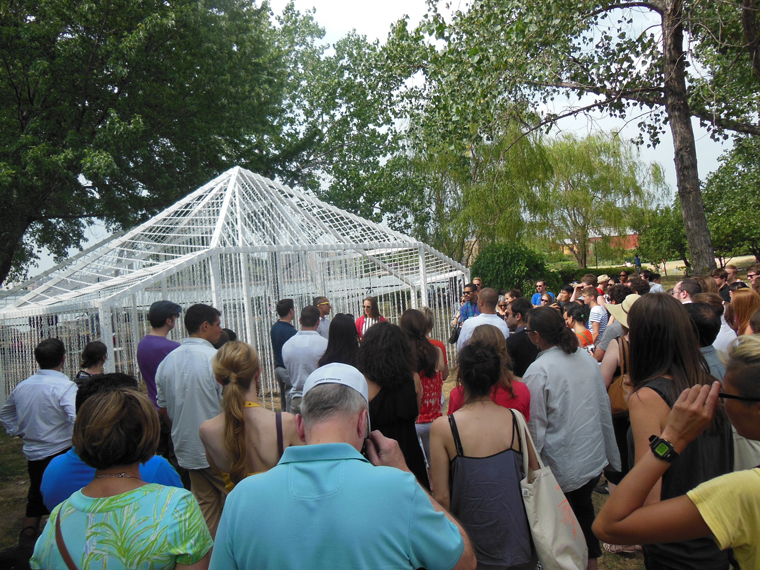 Socrates Sculpture Park’s Exhibition Program is also supported by the generosity of Lily Auchincloss Foundation, Bloomberg Philanthropies, Mark di Suvero, Lambent Foundation Fund of Tides Foundation, and Spacetime C.C. This program is also supported, in part, by public funds from the New York State Council on the Arts, a state agency, and by public funds from the City of New York Department of Cultural Affairs in partnership with the City Council. Special thanks to the City of New York, Mayor Michael R. Bloomberg, Queens Borough President Helen M. Marshall, City Council Speaker Christine C. Quinn, Assemblywoman Catherine Nolan, City Council members Jimmy Van Bramer and Peter F. Vallone Jr., and the Department of Parks and Recreation, Commissioner Adrian Benepe.